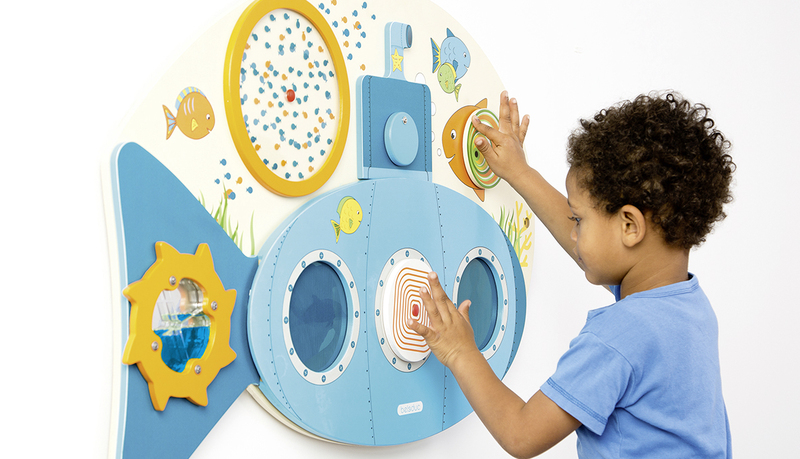 Submerge yourself with our magic submarine! There is a lot to discover underwater! "Do you see the dolphins and octopus swimming past the window and where has the little crab hidden itself?” This wall element impresses with special optical effects.